HyperWorks 12.0 released earlier this year offers new functionalities and end-user productivity advancements in product optimization, finite element modeling, multiphysics analysis, powertrain durability analysis, lightweight design, and many others. 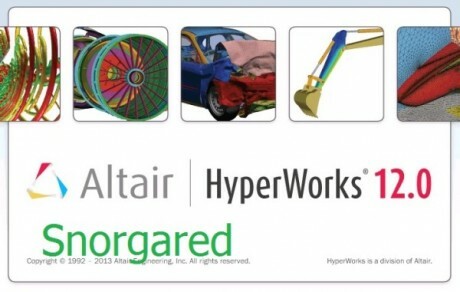 The recently released HyperWorks 12.0 updates include further enhancements in all of the above areas, plus new capabilities for composites modeling, greater analysis power for impact and crash simulation, the latest release of Altairs concept and industrial design tools, as well as the optimization leadership you expect from Altair. Performs fast and high quality splitting the original model. Can be run in different environments for different solvers. - The module is calculating the dynamic impact and collisions. - Solvers of structural and non-linear problems. Can be run as a shell of and separately. - The module visualization and postprocessing. - The runtime optimization and multivariate analysis. - Postprocessors with great features. - Viewer and solver for problems of kinematics and dynamics. - Avtorazbienie and support assemblies. Written in Java. Website: Linki görebilmek için giriş yapmanız ya da üye olmanız gerekir.